Frederick was born in Newbury in 1894, the eldest child of Edward Woodley and his wife Alice née Hunt. More children followed: Winifred Alice (born 1896), Annie Louisa (1903), Alfred Edward (1905), Rosanna J (1910) and Doris E (1912). Edward was a corn porter, born in Enborne, a parish adjoining Newbury to the west. His wife came from Thatcham, adjoining Newbury to the east. 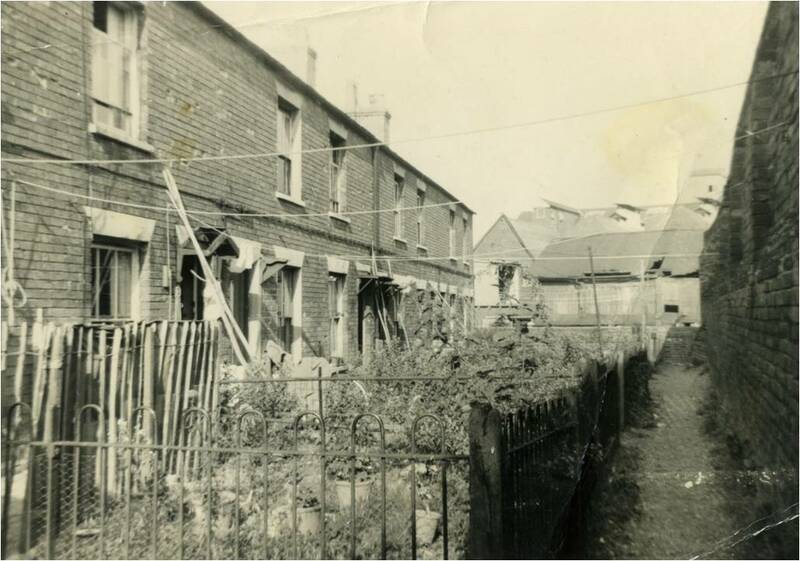 The two set up home in Old Newtown Road to the south of central Newbury. In 1903 the family suffered the loss of young Albert aged only four. In 1905 they moved closer to town and in 1911 can be found in Hampton Road in the area of Newbury known as The City. They later moved to Brixton Rise, an alley off Cheap Street. Brixton Rise in the 1960s, shortly before it was demolished. After basic schooling, probably at St John’s School in Newtown Road Frederick found employment as a hotel porter in one of the many Newbury hotels. In early 1912 he enlisted with the Royal Berkshire Regiment, perhaps hoping to see some more of the world. However, he was posted to their home battalion, the 1st Battalion stationed at Aldershot (the 2nd Battalion was in India at this time). When war broke out in August 1914 the home battalions of the regular army responded according to contingency plans developed for just such an occasion. Together they formed a 120,000 strong force, available for deployment at short notice to wherever they were needed. Within two weeks much of this British Expeditionary Force (BEF) was across the Channel in France. 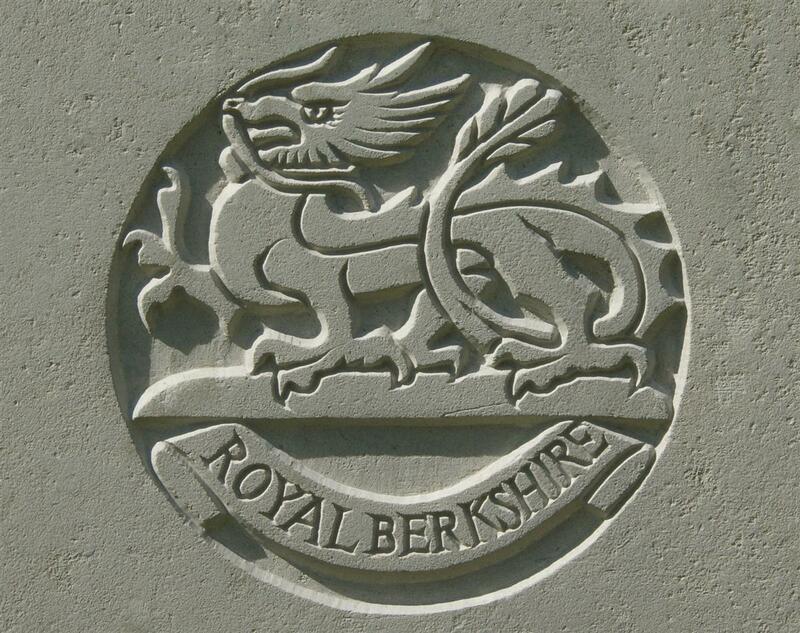 The 1st Battalion, Royal Berkshire Regiment formed a part of the 6th Brigade in the 2nd Division of the 5 Division (four infantry, one cavalry) force. In comparison to the German and French armies that were already in contact along the Franco-German border this was a tiny force – reportedly referred to by the Kaiser as ‘General French’s contemptible little army’, giving rise to the nickname proudly adopted by the men of this original BEF – the Old Contemptibles. Even little Belgium’s army was considerably larger than the BEF, but was being steadily pushed back by overwhelming German forces. The BEF advanced to meet the Germans in Belgium, where the decision was made to defend a line along the Mons-Conde canal near the town of Mons. On 23 August the German advance ran into the BEF along the canal. The BEF’s performance was enough to stop the Germans in their tracks for a short period, buying a little time for the Allied forces to withdraw but by no means a victory. The BEF, alongside their French and Belgian allies were then pushed back towards Paris. When it seemed inevitable that Paris would fall a last gasp counter attack along the line of the River Marne finally stopped the seemingly unstoppable German advance. It was now their turn to withdraw. Eventually, during the 1st Battle of Ypres, the lines of trenches that came to typify this war began to be established around the Belgian town of Ieper (Ypres). In the last days of October the battalion took part in a phase of the 1st Battle of Ypres known as the Battle of Ghelevult. On 1 November they were moved to Hooge Chateau, a location that would become very well known to the BEF over the coming years (and the site of a well used café and museum today). During the day the battalion suffered some casualties from shelling, but were not in direct contact with the enemy – sadly Frederick was one of the casualties. C Coy sent to take up a position in rear of the junction of Connaughts right and Kings left. A & B Coys under Major Finch left the POLYGONE wood at about 2pm and moved to some dugouts just E of the wood at VELDHOEK in support of the 1st Bde. D Coy joined them from Bn Hd Qrs en route. C Coy relieved one company of the Staffords in the trenches and Col Graham took command of this section (Staffs & C Coy). Nov 1st Guard Dismounted at 6 am, ordered to be ready to move at a moment’s notice, bitter cold without Coats which had to be packed in valises, all trenches were full, so decided to return to Quarters occupied by us during the night, found a fire made by Brigade Hd Qr Staff in a Cart Shed just behind, so sat on a biscuit tin & had a warm, & was fortunate to obtain some tea which they were making, it being warm & comfortable remained there reading the paper & also helped them out with their dinner, which consisted of chicken (killed at the farm in the early hours), pork, potatoes, onions etc, which was thoroughly enjoyed. Ordered to move at a moment’s notice shortly after 1 pm, leaving Zonibeke on the move to a fresh position until dark, (shells dropping on either side of us during the march) when we entered the grounds of a large estate, the house being undamaged at present, but unoccupied, must have been a beautiful place in time of peace, prepared to Bivouack for the night, but to be ready to move at once, just settling down when we were ordered to move again, & advance to reinforce the Guards & to fill a gap in the firing line, weary march on muddy roads. Main road to Ypres), plenty of halts while the position we are to occupy is being ascertained, finally filled our Water bottles at an empty farm house, ruined by shell fire, 7 proceeded to the trenches less than 300 yards from those occupied by the enemy, arriving in the small hours. Found a small fire burning amongst the ruins of an house just opposite our trenches, caused by shell fire of the enemy, & a few of us took the daring opportunity to make some tea & fry some bacon while things were a bit quiet, able to obtain the water from a pump close to the fire so did not have to drain our water bottles to make the tea, it would have been quite impossible to do this during the day time being so close to the enemy, afterwards turned in for a few hours. Frederick’s body was never identified (not uncommon for victims of shellfire) so he has no known grave; his name is remembered on panel 45 of the Menin Gate memorial to the missing in Ieper. 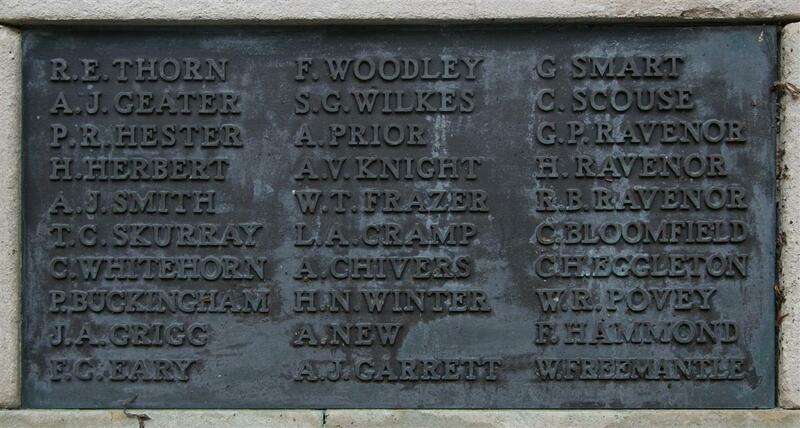 Locally Frederick is remembered on tablet 12 of the Newbury Town War Memorial and the splendid memorial tablet in Newbury’s United Reform Church. Unlike many families the Woodley had only the one son of military age, Frederick’s younger siblings were spared by the end of hostilities in November 1918.